Merry Christmas everyone! I made chocolate muffins for the kids this Christmas dinner. I reduced a lot of the sugar from the original recipe and added more salt. 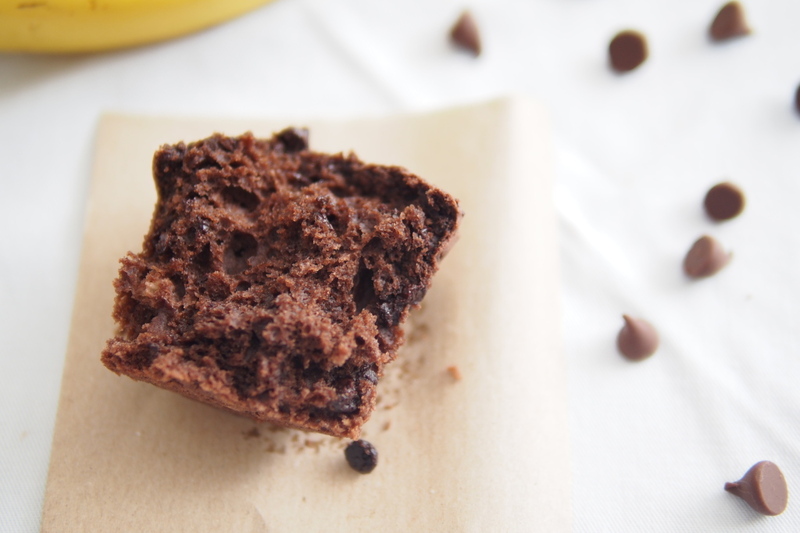 The muffin turned out moist, chocolaty and not so sweet with a touch of banana flovour. I will definately use this recipe again. 1. 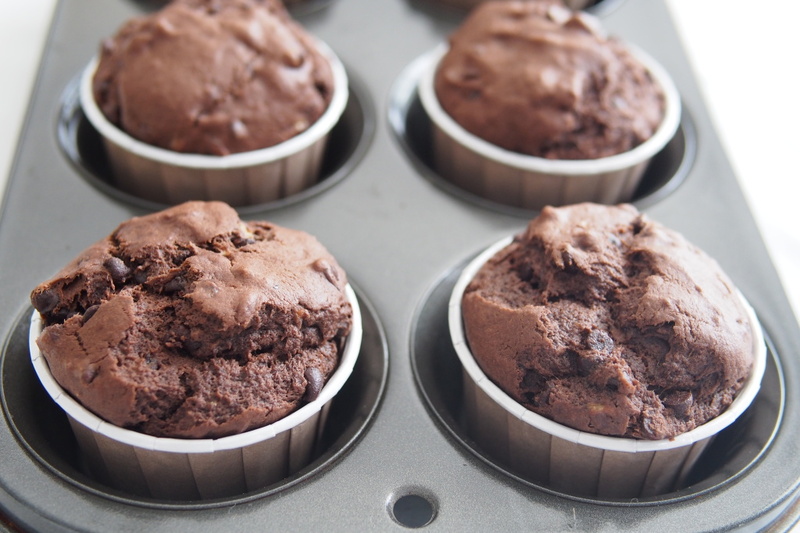 Preheat the oven to 375 F/190 C. line a jumbo muffin tin with jumbo cupcake liners or use regular muffin tin but see note baking times. 2. In a medium bowl, whisk the cocoa, flour, baking soda, baking powder, cream of tartar and salt together. Set aside. 3. In a large mixing bowl, beat the butter, sugar, eggs and vanilla until smooth. Slowly add a little of the flour, mix, a little of the banana, mix, and continue to alternate ending with the banana. 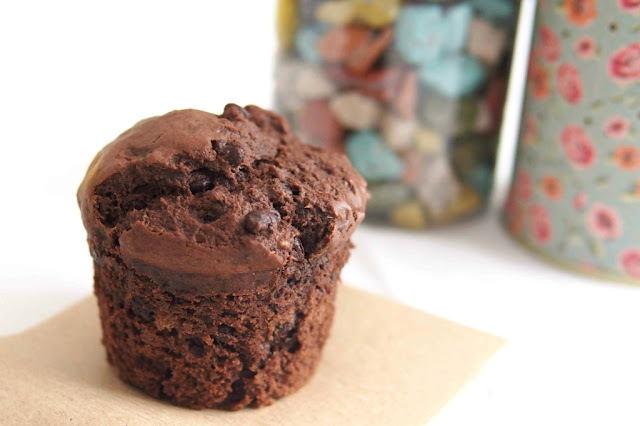 Add the chocolate chips, fold in to combine and spoon 2/3 full in the muffin tin. 4. Bake for 15 – 20 minutes or until a toothpick comes out clean and allow to cool.